Brad ‘One Punch’ Pickett is a professional MMA fighter from England who competes in the UFC. I was hired to create him an updated version of his website, so that he may sell merchandise before his upcoming fight and use the website afterwards to both blog and publicize any seminars he is involved in. 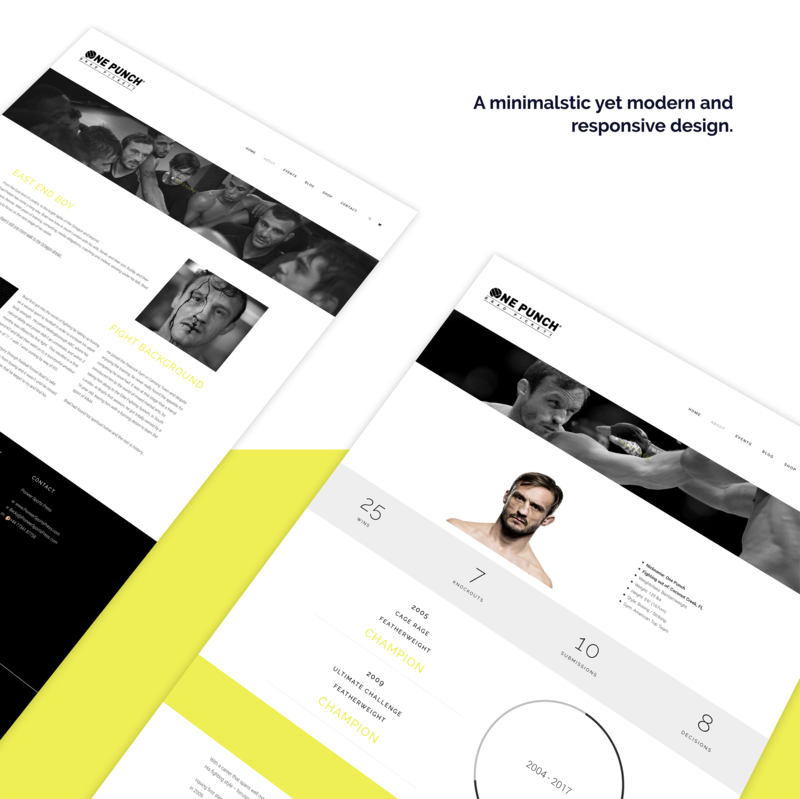 Brads management wanted the site to be created quickly and in time for his next fight, so the design had to be simple. They were also keen for it to be WordPress based as this is where they were familiar and wanted to update the site regularly. The result was a professional looking, minimalistic online presence, using Photoshop, Illustrator and WordPress to produce a design that Brad was very happy with.